Misto at Seda Abreeza makes it to Philippine Tatler Dining’s Best Restaurants Guide 2019, its third in a row! 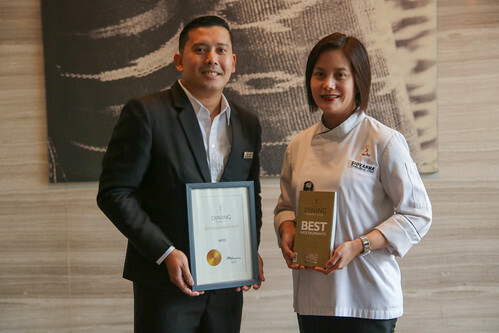 Seda Abreeza’s all-day dining restaurant remains to be recognized by Philippine Tatler Dining in their Best Restaurants Guide for 2019. 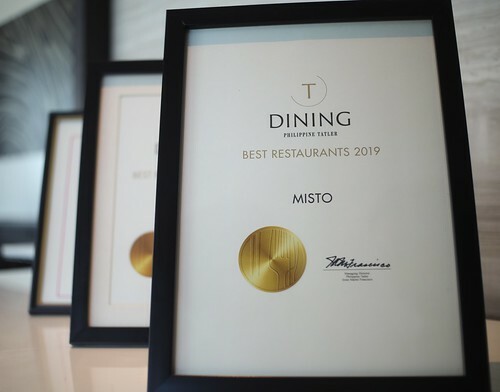 Misto is celebrating its recognition in Philippine Tatler Dining’s Best restaurants Guide for 2019, third time in a row. Philippine Tatler Dining features the best restaurants, bars, and dining news for its highly affluent and cosmopolitan readers. The hotel’s all-day dining restaurant feature is found on their Best Restaurants Guide (BRG) – both available on print and online. 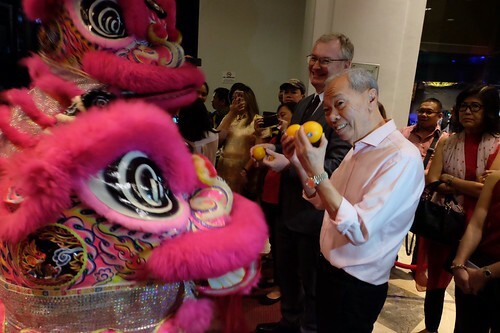 The launch was held last January 28, 2019 at Shangri-la the Fort and was attended by Communications Officer Faith Dimaano, Asst. F&B Manager Jules Melencion, Executive Sous Chef Giovanna “Bang” Sibala and General Manager Ken Kapulong. Misto is one of the four restaurants to have made it on the list from Davao Region. “We are proud to be part of this for three years now. 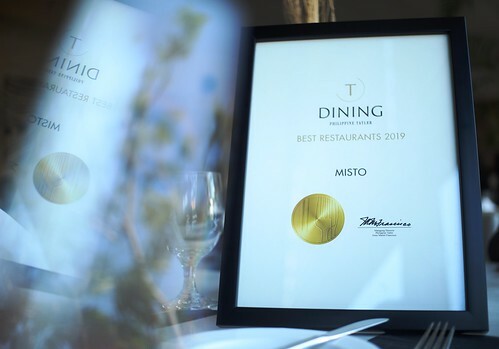 We owe it to our supportive diners and of course, our talented culinary and restaurant teams in Misto. Being a part of this since 2017 has challenged us to make more delectable dishes that highlight our region’s best products,” said General Manager Ken Kapulong. Some of the dishes that were featured on the guide were Seda Abreeza Tuna Kinilaw, Misto Sisig Samosa, Chili Prawns, Malagos Dark Chocolate Cheesecake, and Durian Panna Cotta. 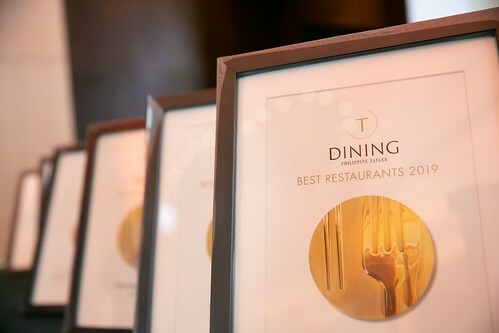 Marco Polo Davao’s Lotus Court has been awarded again as one of T Dining’s Best Restaurant for 2019. Held at High Street Lounge of the Shangri-La at the Fort Manila, T Dining, Philippine Tatler’s new cross-platform lifestyle brand was well attended by restaurateurs, chefs, gourmands, hoteliers, foodies, oenophiles and the best of society. “Lotus Court is Davao’s most elegant Chinese restaurant with its contemporary Asian patterns and spacious interiors overlooking the Davao skyline” says the Tatler review. “At Lotus Court one can indulge in quality Cantonese fare and dim sum offerings. It must also to mention that the staffs here are among the most accommodating in the city. 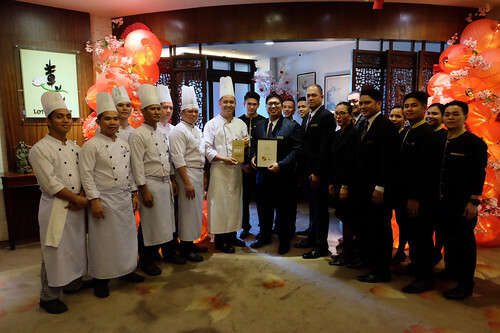 Lotus Court won the prestigious award together with 173 culinary gems in the whole country and the only Cantonese restaurant that made it on the list from Davao region. The award is evaluated on the feedback of professional chefs and client feedback. 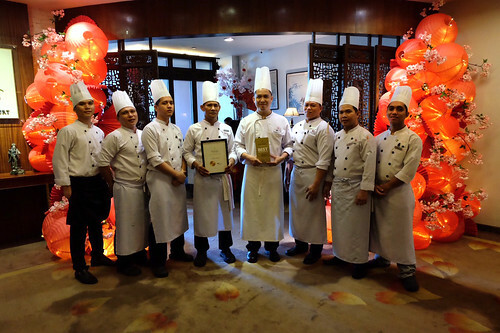 “Marco Polo Davao is indeed a destination for culinary adventure“ said Executive Chef Alex Destriza. RBE Manager Rene Gargallo, who was also present during the event, shared that Lotus Court’s desire is to be top notch in service and top notch in food. We are striving to be the best Chinese restaurant in Davao“. Lotus Court is Marco Polo Davao’s Cantonese restaurant located at the 3rd floor of the hotel. Some of Lotus Court’s signature items include the Pecking Duck, Salt and pepper prawns Hong Kong style, Deep-fried crabs in garlic and pepper, Yin Yang Grouper, Braised mushroom and home-made tofu and Sweet Sesame Buchi. 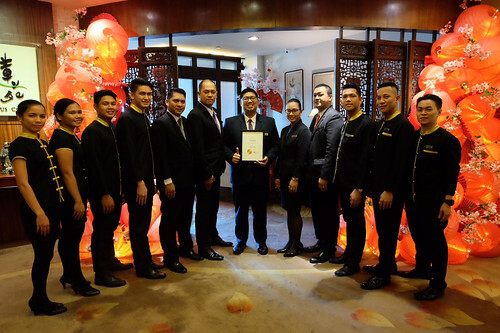 Marco Polo Davao ushered in the Year of the Pig with their special Chinese New Year’s Eve celebration at the hotel on February 4, 2019. An auspicious spread at Café Marco which was enjoyed by guests in a special Chinese New Year’s Eve buffet. For Php1,688 nett per person, you can savor some of Chinese cuisine items such as Hot and Sour Soup, Vegan Vegetable Soup with Mushrooms & Truffle Oil, Steamed Dimsum, Jelly Fish Salad, Pork Char Shew, Chicken Soy, Fried While Fish with Black Beans Sauce, Fried Vegetable Spring Roll with Sweet & Sour Sauce. 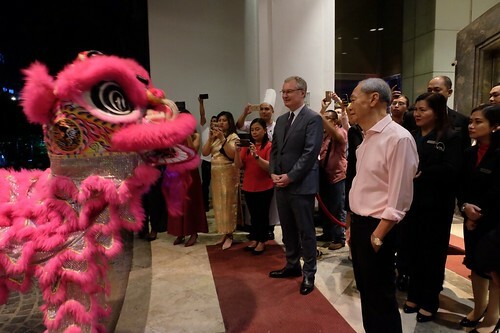 Guests witnessed the traditional Dotting of the Eye by Marco Polo Davao’s General Manager James Bevans and Mr. Johnny Yap to signify the start of the celebration at the hotel entrance. 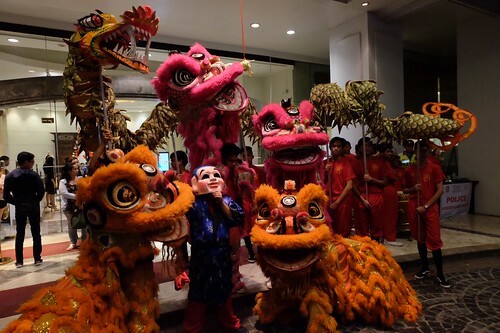 Dragon and Lion Dance performance by Davao Lion Dancers Association was also seen at the lobby. 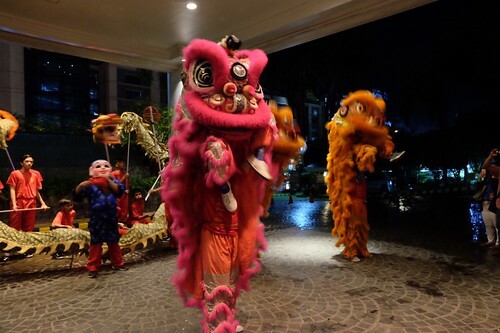 The Chinese New Year or ‘Spring Festival’ is also widely celebrated by Marco Polo Hotels in all its 14 properties in China, Hong Kong and the Philippines.